Heard of Aragami? No? 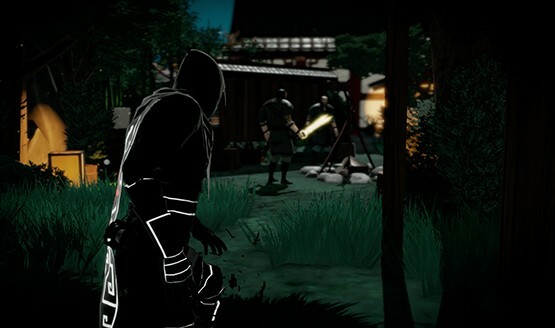 It’s a stealth action game in the vein of Tenchu that’s being worked on by indie Spain-based studio, Lince Works. Fortunately, we’ve had the awesome opportunity to talk to David Leon, Studio Director of Lince Works about Aragami. In the interview, we ask him about the game’s failed Kickstarter campaign, what makes Aragami unique compared to other stealth games, and even how was it working with Sony and the PlayStation 4. Make sure to check out the gallery below as well since Lince Works was nice enough to give us two new, never-before-seen screenshots. PlayStation LifeStyle (PSLS): Where did the team get the inspiration for the art style? David Leon (DL): When we started to design Aragami, the first thing we thought of was Journey. The scarf, the runes, the whole design had a mysterious charm to it. We combined that with our fascination with Japanese and Chinese mythology, and got inspired by games like Okami and Sly Cooper. Through development we iterated over the art design and went from a more cartoonish look (think Zelda Windwaker) to something more realistic but stylized (think Overwatch or the upcoming Zelda for NX). Every texture, model or asset in the game is drawn and painted by hand. We really wanted for Aragami to feature a unique look and I really think we’ve accomplished it. PSLS: Was Tenchu an inspiration? If so, what gameplay mechanics are you borrowing for Aragami? DL: Tenchu was a huge inspiration. It was a game that made a huge impact on us as players, and then later on, as developers. It was one of those games that just drew us in and didn’t let go, and to this day it still remains one of those great gaming memories. The thing that we loved about Tenchu was how it kept you, the player, in suspense and that is what we are trying to recreate in our game. From observing an enemy patrol from the top of a roof, to rush behind him for a quick stealth kill, we’ve tried to capture some of the features we liked from stealth games like Tenchu. In Aragami you don’t have a grappling hook, but you’ve got the Shadow Leap. There’s no items, but you’ve got your Shadow Techniques. We’ve tried to create a similar experience while keeping our identity. PSLS: Can you give us examples of what makes Aragami unique? DL: We are big stealth fans ourselves, and the one thing we’ve set out is to make sure that our game doesn’t feel “watered down.” We feel that the stealth genre in recent years have lost that element of suspense and challenge – they are losing a bit of that stealth “touch.” We want people to feel the tension of being spotted, make them feel that they are outnumbered, outmatched and alone. We want you to feel that each move you make has to be right – you have to plan your steps from the get-go. We want you to feel like a true assassin. The other thing that we wanted to achieve with Aragami was to use no HUD elements whatsoever. Aragami draws power from the shadows, so we used his cape as a UI. You will see the amount of energy being used and replenished by the appearing/disappearing pattern that’s on his cape. We want the game to be as clean as possible so that the player really gets thrusted into the experience that we are trying to create. PSLS: How did the studio balance the game to cater to the two different play styles (Demon and Ghost)? DL: One of the first things when we planned out the project was to make sure we designed the levels with both type of players in mind – you don’t want to create a scenario when one type of player feels that they are forced into doing a decision that goes “against their will.” We also made sure that both type of players will be rewarded – you don’t want to miss out on precious skill points just because you prefer to play one way or another. And most importantly, we want to make sure that both type of players will have the same amount of fun in gameplay – after all, there’s nothing worse than being bored while playing a game feeling that you should be doing something different to what you want to do. For example, in Aragami you’ve got six main ‘Shadow Techniques’ you can unlock. Three of them are aggressive, they make it easier to kill, stun or dispose of a group of enemies. The other three are more ‘pacific,’ and let you distract, locate or evade any menace. Every part of the scenario has situations that can be resolved by either approach, and we’ve tried to make both of them equally challenging. PSLS: Can we expect bosses to take down? What makes Aragami unique from other stealth titles? DL: Yes, there’s some bosses in the game, although most of them are not your usual ‘boss fight.’ Aragami is a stealth game and as such it would be really weird to have to ‘take down’ a big bad guy, so our ‘boss fights’ mostly revolve around finding what gets you closer to ‘the boss,’ or makes him vulnerable. Think Mr. Freeze in Batman Arkham Asylum, that was a great boss fight for a stealth game! That’s the kind of boss fights you’ll find in Aragami. For the rest of the game we use the same approach. Always focus on stealth mechanics and disregard anything that waters down the experience or makes you forgot you are an awesome Shadow Assassin. PSLS: How did the studio handle its failed Kickstarter campaign? What did you guys learn from it? DL: To say we weren’t disappointed would be a lie – it kinda hit us hard. However, we received a LOT of positive comments from people telling us to keep pushing and to make the game even better. Looking at the campaign in hindsight, there were other factors that we didn’t take into account back then – we launched our Kickstarter a few days after E3, the ugly game footage was only after two months of development, and we couldn’t gather all the press attention we’d wanted. These were all lesson that we took on board, and decided to learn from them and keep going with our project. 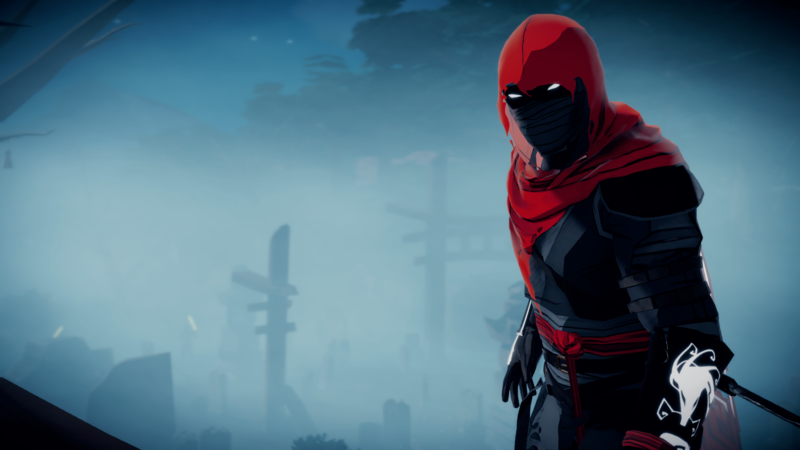 Looking back at the old Kickstarter campaign – the screens and gameplay video – Aragami has changed dramatically from the old Twin Souls project. We think it may have been a good thing to fail that Kickstarter and have the opportunity to reorient the project and create something better from it. PSLS: Why even develop at all for the PS4? Why not go the mobile route and try to make the “next big thing” when it comes to generating revenue? DL: When we finished our studies and went on to enter the industry, we stopped and thought what we really wanted to do. Applying for a job at a big mobile company? That was a possibility, yes, but I guess there is this desire in us to create something that we would want to play, leave a part of ourselves in this world, and create something that we will be proud of. This was the time to try it, to be ‘suicidal’ and try to work on a project we really believe in no matter the outcome. We like mobile games, and we give huge props to mobile developers. However, we feel that the PC and console platform is the way to go with us. We know them well, we play games on them, and we feel that we can create a great gaming experience for those platforms. PSLS: How is it working with Sony? Can you relay any horror (or good) stories from working with a big company? DL: In all honesty, we only have great things to say about Sony. They’ve been super-awesome with us from the first day, helping us with development and aiding us by suggesting improvements to the game. They gave us full creative control – no required changes, adding of characters, etc. There’s no horror story to tell, honestly, but one thing I remember is speaking with them and be told that they followed the project progress on Twitter, reddit and other forums…that’s really cool! We’ve had a great experience with Sony so far. Can’t praise them enough! PSLS: How big is game development in Spain? I know one of the biggest, if not the biggest, studios is Mercury Steam, but are there more studios popping up compared to before? DL: We might be biased here, but there is a lot of talent here in Spain. Our friends over at Super Awesome Hyper Dimensional Mega Team are working on a platformer-shooter called Rise and Shine and it looks and plays spectacularly! There’s also the guys over at Tequila Works that are working on Rime, and we really hope that the project comes out soon for the world to see. Then there’s A Crowd of Monsters with Blues and Bullets, a more mature approach to the ‘Telltale’ adventures. Those are just some of the talented teams present in Spain. We think that this is just the beginning of the Spanish scene, and I’m sure that there will be more projects coming out that will blow people’s minds all over the world! PSLS:When will Aragami be available, what platforms and at what price? DL: Aragami will be coming this fall to Playstation 4 and Steam, and the price is something that we are still working out (but it won’t break your wallet!). We’d like to thank David Leon and Michal Napor and Lince Works for taking the time out to answer our questions. You can follow the game’s progress and latest update via the studio’s official Twitter account, or by checking their official website.